The one question every business, branding, and marketing consultant asks is “what makes you special; what makes you different?” If you want to grow your business and get to the next level, defining what makes you special is a good place to start. 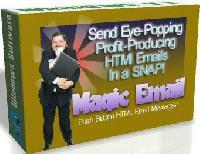 This new software will generate attractive and profit-pulling HTML Email messages -instantly! Push Button Generation – Simply go through the question and answer phase of the software and push a couple of buttons – that’s all it really takes! Save Time And Energy – Don’t spend you entire work day creating Email messages – let this new software do all of the hard work for you! Save your time and energy while increasing your profits! 15 Easy Html Templates – The software will generate 15 different Email templates for you according to your specific needs. Customizable Components – In the software you can provide your customized details for: Name of recipient (can include newsletter tags), Your name, Your Message (HTML Allowed), Your website url, disclaimer, and more! Preview Your Finished Work – Preview your finished eMail campaign right from the software control panel. Save, Open, Delete Functions – You can save each HTML campaign messages, open them, and delete them from the software control panel. 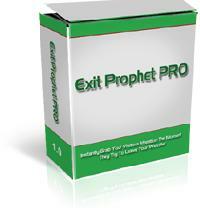 Exit Prophet Pro is a small php script you can use to generate little ‘exit traffic salesmen’. As soon as they get a sense someone is about to abandon your site they jump into action, funnelling the traffic where you want it to go before its gone forever. 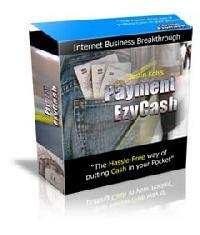 Payment EzyCash is The Hassle-Free way of putting Cash in your Pocket. – can be easily integrated into any website. It is a totally hands free solution and there will no longer be any delay to the commission / charges paid to you from your JV partner / client. Media Autoresponders is a software script that runs on your web site, which enables you to setup and automatically send Unlimited Media Autoresponder emails, Unlimited Media follow ups, Unlimited Media broadcasts and Unlimited Media campaigns. Software And Data is held entirely on your own web site / server. No Monthly Fees, No Third Party Ads or banners in any of your autoresponder email messages. Online Control Panel An extremely Easy to use password-protected control panel. Professional, autoresponder addresses are whatever@yourdomain.com for professionalism. 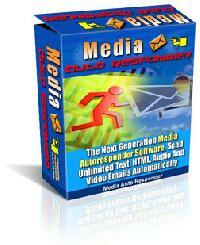 Unlimited Autoresponders Unlimited Media campaigns, Unlimited Media follow ups, Unlimited Media broadcasts. Unlimited Message Changes Change, update or edit your autoresponder email messages whenever you want, 24 hours a day. Advanced Personalization. Merge Unlimited different fields of each subscribers personal information into every autoresponder email message you send. Signature Files Create and manage multiple signature files in a single location. All email messages where the signature file is used will all automatically change when you change your signature file content. Autoresponder Attachments Send attachments of up to 1MB with your autoresponder email messages. Send subscribers your company brochure or additional literature. Audio / Video Autoresponder Email Content Upload unlimited Media audio / video – which will play automatically when the reader opens your Media autoresponder email message. Create 1 to a Million keyword lists FAST. Keywords show PPC traffic volume, cost and ROI so that you find relevant words and long tail phrases in record time. Lots of built in SEO tools. Import your own lists to do AdWords traffic estimates and more. The FASTEST, Easiest, Keyword Tool available. 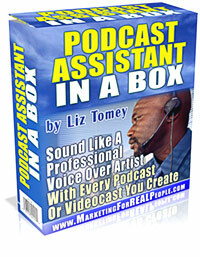 Build huge relevant list fast. 100% FREE. Complete with lots of SEO tools, and traffic estimates, search volumes, PPC cost estimates and ROI stats. Software downloads and reviews related to running your online business, internet marketing and more. Some software include resell and master reseller rights. Once you’ve entered your details, just click “Create Squeeze Page” and your complete, ready-to-use page is generated automatically. The software remembers all the text and colors you entered, so you can easily create more new squeeze pages in the future, in a matter of seconds. The squeeze pages are normal HTML pages, so you can edit them with any HTML editor if you want. This really is the ultimate power tool for creating your own complete list-building squeeze pages. You’ll get 30 complete themes, instructions on how to use the themes, complete Photoshop files for the headers, and also the Resell Rights to the entire package. You’ll get 7 (seven) instant themes that you can use right away with the least amount of effort on your side. All these themes will be “Plug-And-Play”, which means that all you have to do is upload it to your server, login to your WordPress account, enter your Adsense ID and Clickbank ID, and click save. A Photohop (.psd) file for each theme logo so you can customize it. A Complete Manual with installing / usage instructions. Imagine…you do your podcast, talking just like you normally do without having to be self-conscious or think about what to say. Then you use a simple tool to smooth it all out so it sounds like a pro recorded it. 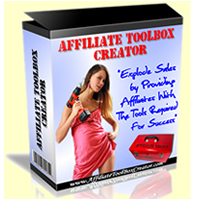 This software creates the pages you send your affiliates to to get their promotional tools.